Jason Silverstein at the newly found resting place of his great grandfather. Its dark and cold, and practically the middle of the night. It’s 4:30 am on Wednesday, January 16 and this morning, I’m standing with a group of eight others, ready to embark on a journey unlike any other I’ve experienced. To be honest, as we load the minibus, which will take us on a whirlwind trip to New York, I’m not quite sure what to expect. For starters, this trip’s itinerary is very different than one might expect of a trip to New York. 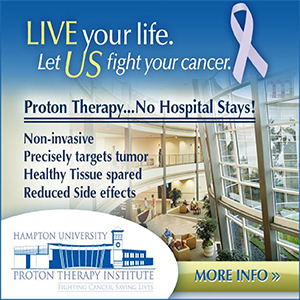 It doesn’t include sporting events, the symphony, or even restaurants. Instead, we’ll be driving up to visit “the Ohel,”—the resting place of the Lubavitcher Rebbe’s in Queens. That’s because the Hebrew date is the 10th of Shevat. The 10th of Shevat, or “Yud Shevat” is the yahrtzeit of the sixth Lubavitcher Rebbe, Rabbi Yosef Yitzchak Schneersohn, who passed away in New York in 1950. Exactly one year later, his son-in-law Rabbi Menachem Mendel Schneerson accepted the Chabad leadership, and set about transforming the face of modern world Jewry. Like thousands of others, we will be visiting the Ohel to mark this auspicious day on the calendar. Thank G-d, our trip progresses smoothly. After we catch some sleep, Rabbi Zalman Margolin presents a brief biography of the Previous Rebbe, who despite tremendous persecution in Europe, worked tirelessly and made tremendous sacrifices to keep the flame of Judaism alive under the most trying circumstances. Even after narrowly escaping the inferno of WWII and witnessing the tragic decimation of European Jewry, he arrived in New York in 1940, where he declared, “America is no different.” He taught that even in the United States, Judaism is as alive and relevant as ever for every Jew. 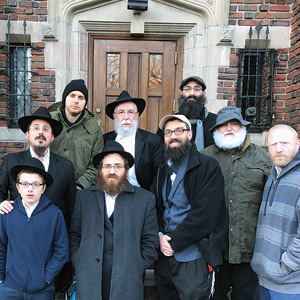 In front of 770, Lubavitch World Headquarters: Top row: Ross Kravtsov, Boruch Levy, Jason Silverstein; middle row: Rabbi Levi Brashevitzky, Rabbi Zalman Margolin, Yehoshua Weinstein, Don Hornstein, Max Siegel; front row: Shalom Brashevitzky. Praying at the Rebbe’s resting place alongside others of the thousands that visited that day. Back in our minibus, Rabbi Levi Brashevitzky presented a fascinating glimpse into the teachings of the Rebbe and the Previous Rebbe, accompanied by soul stirring Chassidic melodies. After a couple of hours, we arrive at the Ohel. What an incredible feeling, to join literally thousands of others—yeshivah students, rabbis, families, and many, many others—as we wait in line for our turn to pray at the Rebbe’s resting place for more than two hours, and we recite psalms and other prayers, each of us reflecting on our lives and how they could be better—materially and spiritually. Finally, the moment arrives. 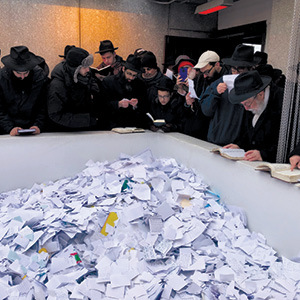 We are ushered into the Ohel, and given a few minutes to read our pidyon, a customary note placed on the graveside of a tzadik, asking the Rebbe to plead for Divine mercy for us and our loved ones. In these moments, I feel a profound sense of connection, to my soul, to my people, and to my ancestors. 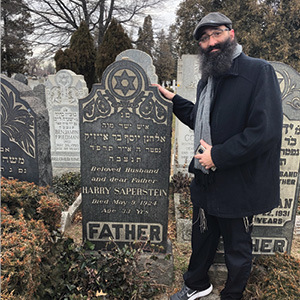 An amazing bonus of the trip for me, is visiting the resting place of my great-grandfather, Harry Saperstein. He tragically passed away in 1924 at age 33. On the way to New York, with a bit of Internet research, I was excited to learn he was buried in the same cemetery I was about to visit. I wondered if I might be able to find his resting place, which neither myself or my mother had ever been to. After some quick shuffling through the winding paths of Montefiore Cemetery, Rabbi Levi, Josh Weinstein, and myself locate it. And then, before I knew it, our time is up. We get some lunch and head to Brooklyn for a quick tour of Lubavitch World Headquarters, or “770,” as it is commonly referred to. We see where for decades, the Rebbe prayed, studied, and presided over a movement that has brought Jewish awareness, warmth, and enthusiasm across the globe. Finally, we visit a wonderful upscale Kosher Supermarket, boasting a fully stocked butcher section, sushi, and a fantastic array of gourmet takeout. We stock up for the journey home and are once again on our way. Seven hours later, or 21 hours after our departure, we arrive back at Chabad in Ghent. It may have been cold and dark again on the outside, but inside, our souls are on fire.